Nivin Pauly upcoming malayalam movies in 2013 are given in this article. 'Arikil Oral', 'Motorcycle Diaries' and '1983' are his new releases in 2013. Other new projects of Nivin Pauly in pre-production are'Om Shanthi Hoshana', 'Last Supper' and 'Safari'. Read more to know about the upcoming movies of Nivin Pauly in detail. Nivin Pauly is quite happy with the way he has been moving in Malaalam films. The actor had already made a stunning start in 2013 with musical treat 'Neram', 'English' and '5 Sundarikal'. The actor has few more promising upcoming movies in 2013. 'Arikal Oral', 'Motorcyel Diaries', '1983' are his new releases. Movies like 'Last Supper', 'Om Shanthi Hosana' and 'Safari' are other projects that will start rolling soon. With his charming smile and effortless acting Nivin has already created a positive impact in Malayalam. ’Arikil Oral’ is a thriller directed by Sunil Ibrahim. The movie revolves around three people who become close friends in a short period of time. Indrajith, Remya Nambeeshan , Lena Abhilash and Prathap Pothan are in the lead roles along with Nivin Pauly in ‘Arikil Oral’. 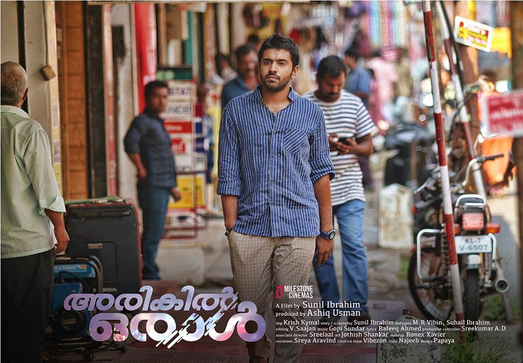 Nivin’s character is a waiter known as Icha. He and his friends- Indrajith, a creative director and Remya Nambeeshan, a trained dancer, make a trip together. It is at this time three of them realize that how little they know about the other two. Prathop Pothan essays the role of a psychiatrist in the movie. The screenplay is written by the director himself. Sunil Ibrahim’s debut movie ‘Chapters’ had also featured Nivin Pauly in one of the lead roles and it bagged critical acclamation for the theme. When the same pair is returning back with ‘Arikil Oral’, another outstanding theme can be expected. The film is produced by Ashiq Usman under the banner of Milestone Cinemas. The shooting of ‘Arikal Oral’ has already started and further filming is going on. ’Traffic’ fame Rajesh Pillai has come up with a new theme with ‘Motorcycle Diaries’, starring Nivin Pauly and Kunchacko Boban in the lead roles. What makes ‘Motorcycle Diaries’ different is its story. The movie goes through the life of a motorcycle (a bullet bike) and its emotionally close association with two owners, played by the two lead heroes in the movie. The story spans through three decades. One of the lead characters is on his way to trace the old motorcycle and he happens to find the bullet with new owner. Music director of the movie Shaan Rehman will also come up as an actor for the first time through this film. 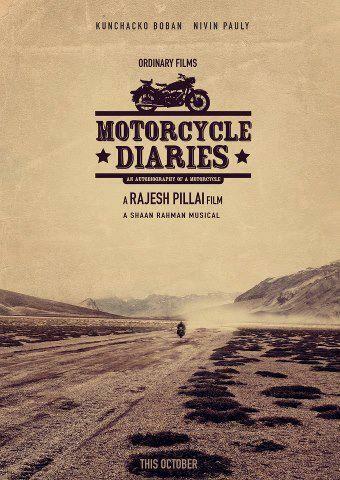 ‘Motorcycle Diaries’ is produced by Sugeeth and Sateesh under the banner Ordinary films. The script is penned by Suresh Nair, Jeyamohan and Rajesh Pillai. The shooting of the film is under progress and is most likely Ninvin Pauly’s next big outing in 2013. ’Last Supper’ is directed by debutant director Vinil and will have Nivin Pauly, Unni Mukundan and Maria John in the lead role. The story of ‘Last Supper’ revolves around three people and their adventurous trip into a forest. George Sebastian will produce the movie under the banner of Cyn Cyl Celluloid. The shooting of ‘Last Supper’ will start soon after Nin Pauly finishes his already committed projects. One of the best pair Malayalam movie recently seen,Nivin Pauly and Nazriya Nazim, is ready for their third outing with Malayalam movie ‘Om Shanthi Hosana’. When these two were come together Malayalam got two of the best musical treats happened recently- Yuvhh, an album song and ‘Neram’, a super hit movie. The movie will be a romantic – comedy entertainer with a fresh treatment to the already known story line. Nivin is doing a slightly shadowed character in the movie. His character depends on friends for all his needs. But when some urgency comes up on his friends he runs away from them. ‘Om Shanthi Hosana’ is directed by debut director Lijo based on Jeymohan’s script. The shooting locations are Munnar and Ernakulum and the shooting will start in August. Nivin Pauly’s ‘1983’ is an attempt to showcase the positive side of cricket. The movie is set in a village and it is about the affection a group of people has towards the game. Nivin Pauly is playing the lead role in the movie along with Anoop Menon and Aju Varghese. Many youngsters are also part of this movie. Nivin Pauly is one of the main players in CCL tournament. The tournament has indeed made him noticeable in the Malayalam film world during his initial days in the film hood. The shooting is progressing with most of the scenes set in ground itself. Nivin Pauly’s life in the movie is slightly close to the life of Sachin Tendulkar. ‘1983’ is directed by photographer turned director Abrid Shinhe. Youngsters Nivin Pauly, Fahad Fazil, Sunny Wayne and Vineeth Sreenivasan will be seen in ‘Safari’, directed by Jexson and Rejis Anthony. ‘Safari’ is penned by Rajeshekhar, Jexson and Rejis Anthony. Nedumudi Venu also features in one of the lead role in the movie. ‘Safari’ as the name suggests is a movie based on a journey conducted by five people and will be an action thriller. Nivin Pauly also has become a star in Tamil films after the overwhelming response the bilingual film ‘Neram’ received. Kollywood is also waiting for this new Malayalam star. Nivin's previous outings Malayalam were pure entertainers and were received wholeheartedly by the viewers. With a handful of Malayalam movies in his kitty Nivin Pauly is all set to entertain the viewers.